Stephen Amell had teased he was going to make a fun announcement at this year’s Upfronts for The CW, and the man delivered. Amell, who plays Oliver Queen on Arrow, announced that this year’s multi-show crossover event would be heading to Gotham City, where we are going to meet Batwoman. CW President Mark Pedowitz points out that this will be the first-ever live-action appearance of the character anywhere. She will be fighting “alongside” the Arrowverse heroes. Batwoman, aka Kathy Kane, made her first appearance in Detective Comics #233 (1956), created by Edmond Hamilton and Sheldon Moldoff. 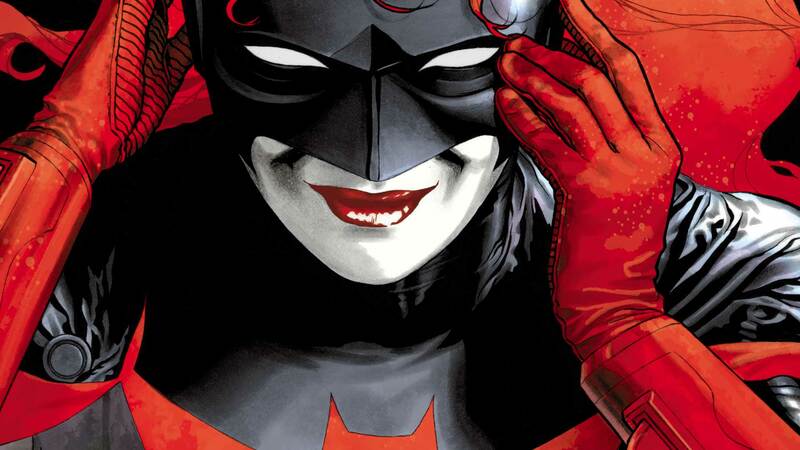 She was reimagined as Kate Kane in 2006 as part of post-Infinite Crisis series 52 and quickly became a very popular character. While the original version had a thing for Batman, the new take on the character is that she’s lesbian and ends up in a relationship with Maggie Sawyer, a character already part of the Arrowverse, played by Floriana Lima and who was engaged to Alex Danvers (Chyler Leigh) earlier this season on Supergirl. The Arrowverse series have been doing crossovers since The Flash began, using them as a launching point for DC’s Legends of Tomorrow, having an alien invasion, and this last year doing the multiverse-spanning Crisis on Earth-X, which connected Supergirl, Arrow, Legends of Tomorrow, and The Flash. And while there is a Gotham TV show that is also from Warner Bros. TV, it won’t be part of the crossover. There have been references to Gotham City, Bruce Wayne, and Batman in most of the Arrowverse shows over the last few seasons, with Oliver Queen dropping the name Bruce Wayne earlier this season on Arrow. However, this will be the first trip to Gotham City for any of the series. And one has to wonder if you’re going to Gotham, what brings you there and who else are you going to meet?